NAECO electrical contact materials are produced in all major alloys and composites and whatever form you require. 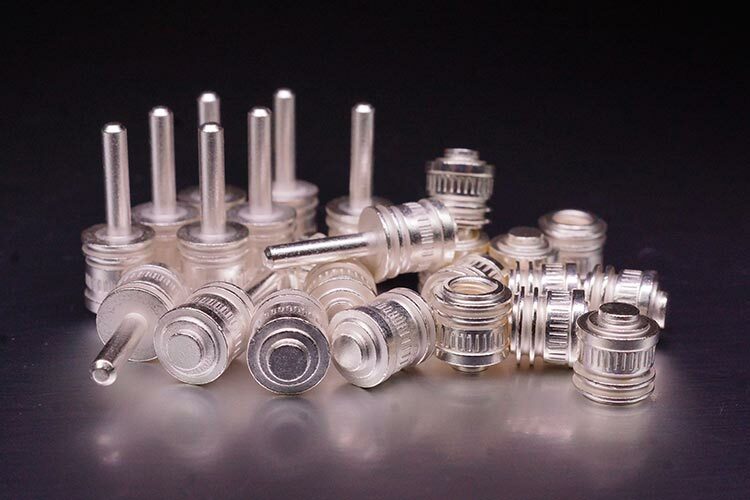 Silver, platinum, palladium, gold, nickel, copper, graphite, tungsten, molybdenum, tin-oxide and cadmium-oxide as well as special compositions to match your application. Brazed, welded and staked assemblies. Machined, stamped or turned contact bases, carriers and studs. 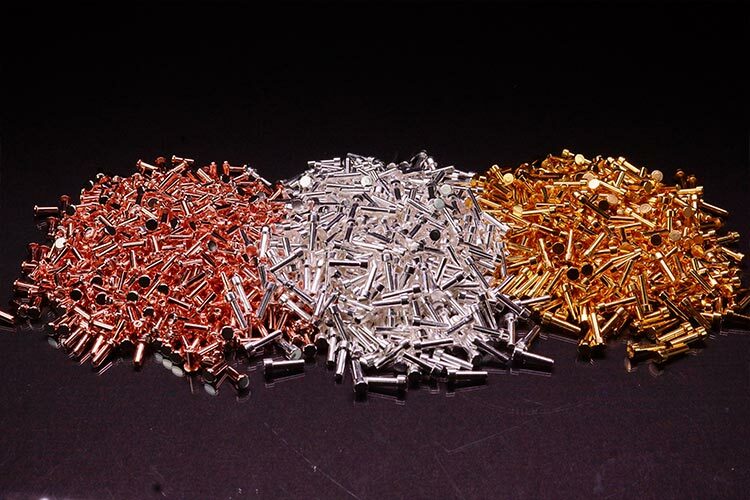 Contact rivets – solid, bi-metal, and tri-metal. 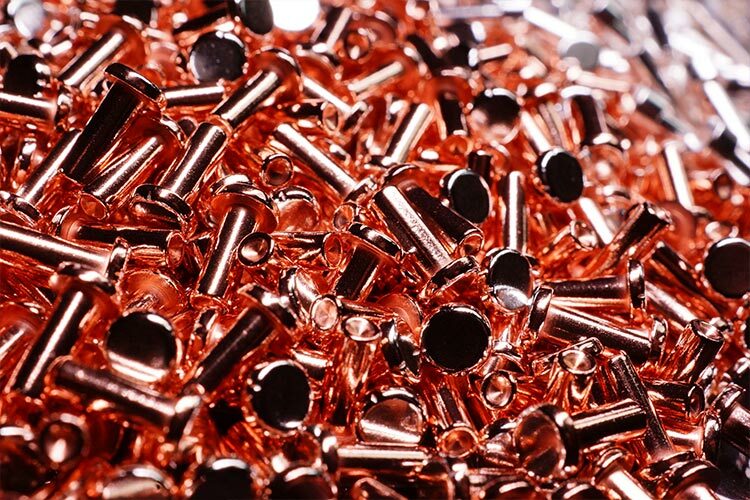 Our rivets are ideal for high-speed automated assembly processes. High Precision Contact Rivets for Single or Multiple Bowl Feeding. Precious metal Stampings and castings. Tips of any shape, with or without pre-applied braze material. 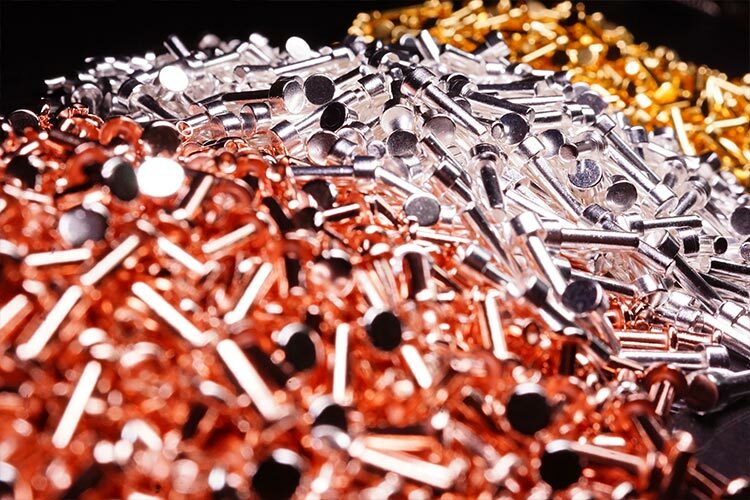 Clad materials as well as Silver Inlay, Edgelay and Throughlay on copper, Ag Bronze, CuFe2, Cu Bronze, and Cu Ni, or other carrier metals. Simple and complicated continuous profile contact tapes. Semi-finished forms including wire, strip, sheet and foils.